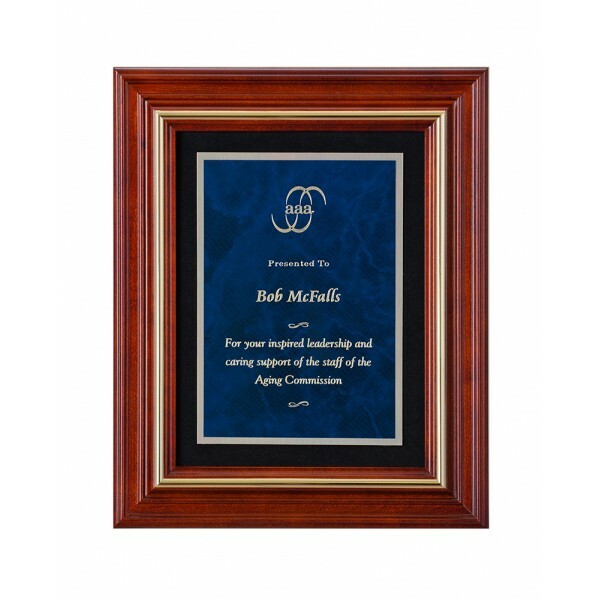 The AF-402 Award Frame truly sets the achievement apart. 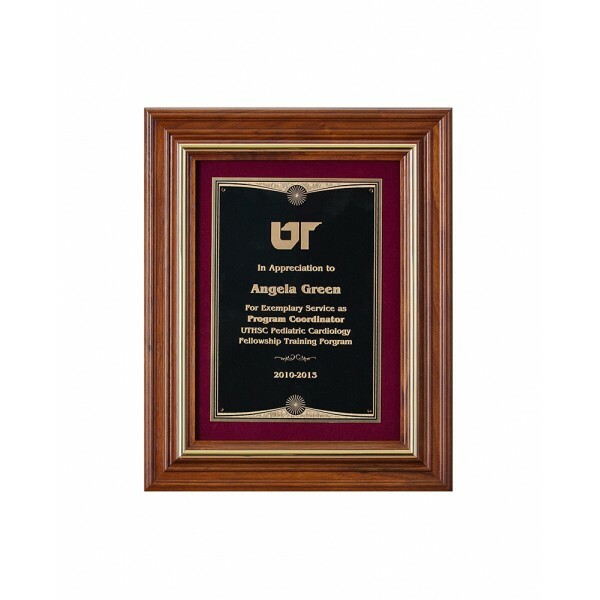 It comes available with your choice of standard velour color background or a Solid Cherry Veneer Panel (VP). 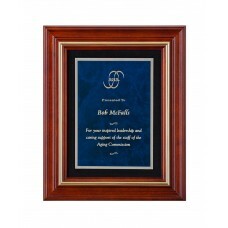 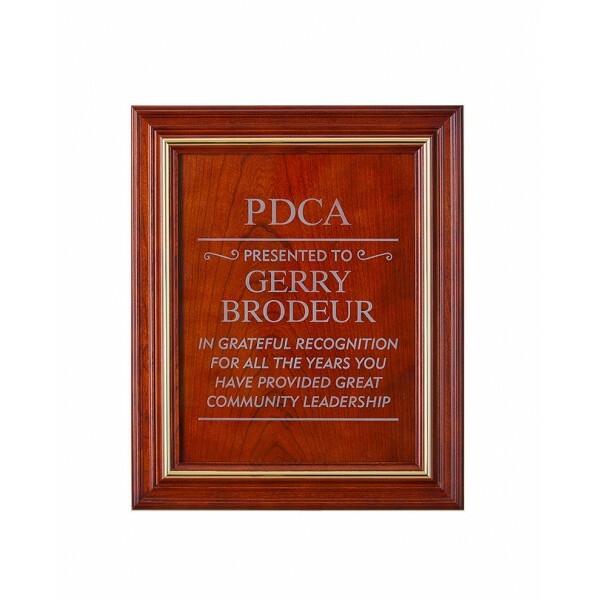 • Hand crafted from beautiful Solid Cherry, or Solid Walnut with a beautiful Walnut Finish.